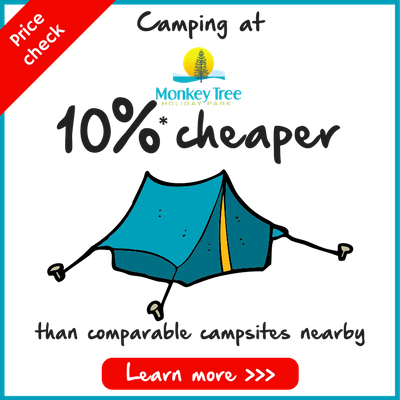 Monkey Tree Holiday Park near Newquay, Cornwall is the ideal place for Camper Vans, RV’s & large Motorhomes. The Holiday Park is level throughout with a variety of pitches to choose from, ranging from our standard non-electric pitch to those with hard standing, electric and water as well as pitches with their own en-suite facilities. Prices are per person per night and need to be added to your choice of pitch and any other extras which are all detailed below. Please click to view our terms and conditions relating to dogs at the Park. 12m x 10m with electric supply. 12m x 10m with electric supply and hardstanding area. 12 x 10m with electric, water and drainage supply and hardstanding pitch. Generally 15m x 12m with electric, water and drainage supply. Enclosed on three sides and complete with gravel parking space. Your own private, fully tiled bathroom or shower room. 15m x 12m with electric, water and drainage supply along with gravel parking space. Your own private ensuite shower room located on your pitch together with an undercover, alfresco dining area complete with BBQ and washing up area. This is camping at its best! Prices below need to be added to per person price and pitch price. Cancellation insurance will automatically be added when booking to cover the cost of your Holiday, you are welcome to opt out of this at the time of booking. Our holiday cancellation scheme covers you from the moment we receive your booking, deposit and insurance premium. Monkey Tree Holiday Park will refund all monies paid (excluding the cancellation and booking fees), provided we have written confirmation of cancellation of the entire party at least 8 weeks before the commencement of your holiday. You and all your members named are covered by the insurance. See terms & conditions for full details. WE STRONGLY ADVISE THAT YOU TAKE OUT APPROPRIATE HOLIDAY INSURANCE WHETHER THROUGH MONKEY TREE HOLIDAY PARK OR A THIRD PARTY. MONKEY TREE HOLIDAY PARK WILL NOT BE LIABLE FOR ANY CANCELLATION OR AMENDMENT WHERE INSURANCE HAS NOT BEEN PURCHASED. Please call for details of our Winter Tariff. There is a minimum stay of 3 nights on pre-booked pitches between Saturday 8th July and 2nd September, this also applies to Whitsun. Pitches are available from 12 noon on the day of arrival, and must be vacated by 10am on your departure date. Bookings are confirmed when a deposit is taken and the balance is due 8 weeks prior to your arrival date. Secure on site storage for your motorhome.